The CEO outlined a deep-rooted organisational reshuffle on Wednesday. The goal is to cut internal red tape and sloth. Management will be streamlined. Non-core operations like the hearing-aid division will be hived off. Organic growth will be prioritised, with selective reinforcement of core businesses – for example, the just announced acquisition of Rolls Royce’s gas turbines business for 950 million euros. That is all sensible stuff. The biggest challenge is to end a chronic propensity to screw up on large-scale projects. Over the last seven years, missed deadlines, technological glitches, and contractual penalties wiped out 700 million euros in profit per year. In the most recent quarter, two botched grid projects in Canada cost 287 million euros. Kaeser has started a new approach, with more intense initial risk assessments, more selective acceptance of orders and an early warning system. If all these issues had been resolved already, the acquisition of Alstom would make a lot of sense. Siemens would keep its American rival General Electric off its back and could drive up profit by downsizing Alstom. But in its current form and shape, Siemens has enough to deal with in-house. Alstom is a big morsel to swallow. Its turbine and grid revenue is equivalent to almost a fifth of Siemens’ overall sales. A takeover would increase revenue in the German company’s energy division, already the biggest business unit, by more than 50 percent. Integration would probably entail painful restructuring. Also, stumping up about 10 billion euros, if not more, for the French rival would stretch Siemens’ finances. 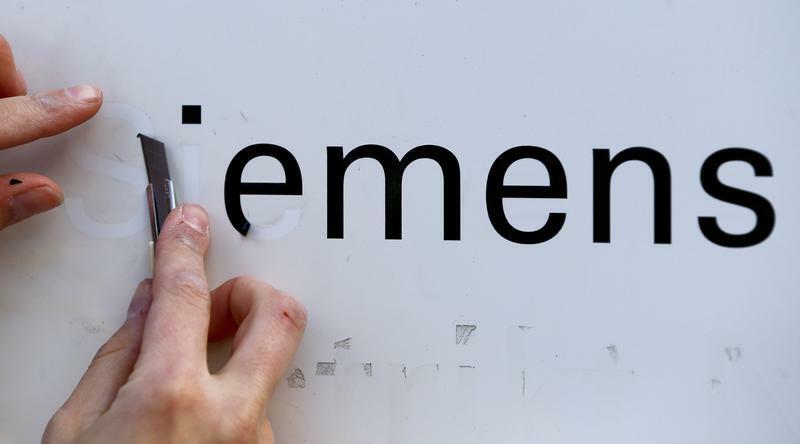 Fitch has already suggested Siemens’ current rating may come under pressure. The execution of Kaeser’s sensible but ambitious agenda of internal reforms is no easy task in itself. Add in a successful bid for Alstom and the task becomes Herculean. Shares in Siemens rose 2.6 percent to 96.36 euros in early trading on May 7 after the German engineering group unveiled a long-awaited strategic overhaul. The Munich-based firm’s Chief Executive Joe Kaeser has been working on the new strategy since taking power last summer. His predecessor Peter Loescher was pushed out after a series of profit warnings. The company posted weaker-than-expected earnings for its fiscal second quarter, hit by charges in its energy business. Siemens announced the purchase of energy assets from Rolls-Royce for roughly 950 million euros ($1.32 billion) and the sale of a majority stake in its Austrian metals business to Japan’s Mitsubishi Heavy Industries for undisclosed terms. Furthermore, it announced it is preparing a public listing of its highly profitable hearing-aids business and will yield more organisational independence to its healthcare division. In late April, Siemens said it wanted to place a formal offer for the energy business of French rival Alstom, which already received a bid from U.S. peer General Electric. The French government has encouraged Siemens to enter the race.